in "outside", you will need to navigate a 20x3 map, doing as i instruct along the way. if you succeed, you can progress to the end. if you fail, you will be punished. do not do anything i do not instruct you to do. do not try to find anything outside of my rooms. do not listen to anyone else. you'll have to do as i tell you to, though. and most importantly, do not fail. ...oh, there's also another level included. whatever. 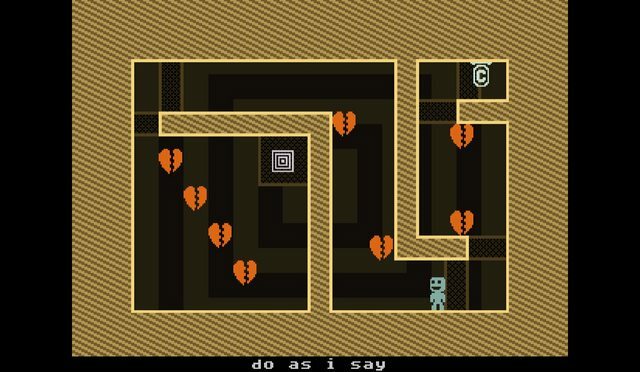 nerfed the second "DEATH DEATH DEATH" room and "do as i say". changed the last challenge room. it isn't really easier now, but hopefully the difficulty should feel more 'controlled' and less luck-based. ...So the Stanley Parable in level form? Well, even if it's not, by the screenshots it looks fun. do not touch the warp token. but I would have liked being told what ending I got once I completed it. And some of the rooms where rather annoying. I have not yet played this game, is it actually still worth playing it when I already know it's about me being able to choose different paths, getting different endings and being told that all possible paths were already designed before I played them? 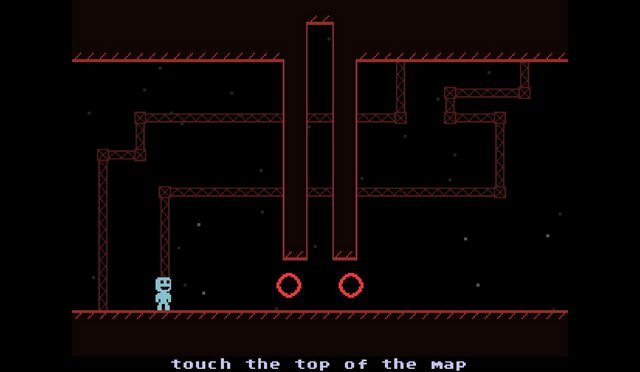 ok, there seems to be a bit of confusion in the way that "outside" works, so let me make something clear: this level is largely linear. there is only one ending, and most optional paths dead-end pretty much instantly (with one notable exception). this level isn't really that similar to the stanley parable in theme or tone - i can see why it might seem that way at first glance, though. sorry. are there any specific rooms you had a problem with? i haven't had anyone else playtest this level before posting, so i'm happy to nerf any rooms if you found them too hard. The first part in "do as I say" took me quite a bit. In "Death Death Death . . ." I had some trouble getting in between the 2 block gaps in between the hearts. And finally "i dont care anymore / only one more room" was quite painful. There were a few more hard rooms but they seemed reasonably doable. 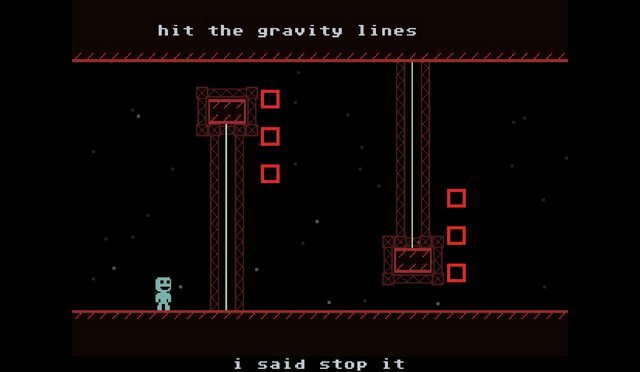 Maybe I should add that I'm not that good at VVVVVV's movement. And there goes the Steam Card I got for Hiveswap. don't worry, you'll probably get another steam card by the time it comes out in 2073. The Broom Closet Ending was my favorite! It's definitely fun for the first 1.5 hours, I spend around another hour searching for secrets and other endings, which is where it feels a bit frustrating to not know if there is more and where I could take other paths. Overall it was still a fun game, but it felt a bit short. honestly once you've tried everything you can think of i don't really think there's any shame in looking up a guide to see what you missed. also, 1.5 hours? that seems pretty fast... i think it took me four or so. that's something like twice the length of vvvvvv... also, quality over quantity. but i guess i get the "too short" complaint. there's a free game called Dr. Langeskov, the Tiger, and the Terribly Cursed Emerald, which can be downloaded from Steam and is very similar in style to The Stanley Parable. it was made by one of same people who did TSP, but it's a lot shorter. still, if you want more Stanleyesque content, there you go.